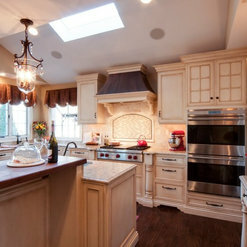 Platinum Designs, LLC is a custom kitchen design firm and creates luxury kitchens for our local Somerset / Hunterdon County area in New Jersey and surrounding areas. 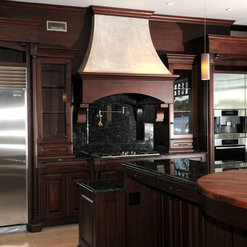 Our design showroom is located in Somerville, NJ. We design custom cabinetry and install high end kitchens, offices, libraries, bathrooms, and wet bars for some of the most prestigious homes in America. Platinum Designs, LLC is owned and operated by Ian Cairl. Ian has been in the building industry for over 20 years. While specializing in custom cabinetry design, Ian's understanding of all facets of the building process have enabled him to "think outside the box" on each project. "My desire when working with each and every client is to create a design that is not only a functional space, but one that creates emotion for the homeowner, connecting with their sense of style and complementing their way of life. I enjoy the design process as with each project I seek to make the most of the space, realizing a unique vision for any budget. I am grateful to my clients for choosing me to work with them on their most valuable asset, their home, and appreciate the referrals I receive daily. I look forward to working with you too." 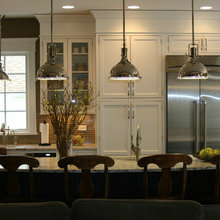 Member NKBA First place regional winning kitchen in Sub-Zero & Wolf Kitchen Design Contest for 2006/2007 and 2008/2009. 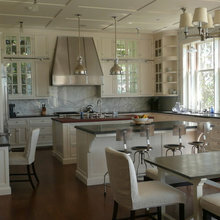 Ian Cairl chosen as 2007 Designer of the Year by Ovation Cabinetry. 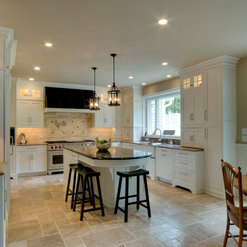 Kitchen project designed by Ian Cairl featured on premiere episode of "Moving Up" on TLC. We waited a long time and spoke to a lot of contractors before deciding to use Platinum Design for our kitchen renovation. It was not an easy renovation since my home is 150 years old and presented many design challenges. 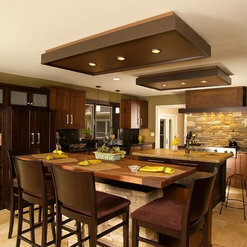 However, Ian saw past the challenges and designed an extraordinary kitchen. Not only does the kitchen feel like it belongs in a Victorian home, it also offers the most up to date kitchen features making it both beautiful and user friendly. We would highly recommend Ian and his entire team for anyone interested in having a professional, one-of-a-kind experience. We engaged with Ian and his team to design and build out our beach home kitchen and bathrooms after an outstanding experience with our primary home. We could not b happier with the outcome. For the kitchen I originally wanted one large island; after realizing how we wanted to use this space, Ian convinced us to go with 2 islands, one a work island and one much larger social island. 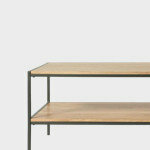 The social island has an industrial feel with metal, wood and reclaimed wood. So happy we went this route; it has truly become the heart of the house. we can easily fit 10 to 12 people around the island table with additional room at the other island. Ian carried the beach casual feel into all the bathrooms as well. Would definitely recommend Platinum Designs to anyone. Ian helped me re-configure my kitchen/family room at our new beach house last year. He was full of creative ideas that ultimately made the space incredible! From the custom copper hood to the soft close drawers he has an eye for detail that made my new kitchen/family room better than I could have expected. Ian also designed and hung a beautifully hand crafted barn door, a favorite feature in my new home that gets tons of compliments. He recently also constructed a custom kitchen table to fit the space perfectly along with 3 raw edge shelves that finish the room beautifully. He is a pleasure to work with and was very attentive to my thoughts as well. We love our kitchen! Ian has great creative vision and a strong sense for how to make rooms both beautiful and functional. He and his team are true professionals and craftsmen. Quality and design are top notch. We hired Ian and his team to finish our basement based on the beautiful work they did on my Brothers kitchen. The challenge with a basement many times is making it feel homey and like an extension of the upper floors. Ian listened to all of our needs/budget and constructed a plan and design that was executed beautifully. Many of the other companies we had gotten quotes from had very simple ideas/designs for the project but Ian brought in different elements that made the space special and truly made it feel like another floor of the home. As an architect I was anticipating being able to undertake my own kitchen redesign effort but working with some very tight spaces I was frustrated at not being able to come to a satisfactory design that accommodated our goals. I was afraid that my only solution was to build an addition to fit everything in. Finding Ian Cairl and his Platinum Design Showroom in downtown Somerville kept our project as a Renovation effort avoiding the need for additional space. Ian's insights and practical experience provided the key intelligence to help us balance our needs within the confines of a modest home. His efforts probably doubled the value of our home and infinitely increased its visual appeal. 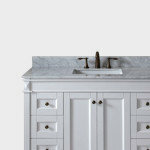 Ian's design work, access to fabulous cabinetry and skilled subcontractors proved to be nothing short of exceptional. Our project received Ian's direct personal attention. He kept the work progressing on schedule, coordinated all the deliveries and appliance installations and kept everything within our budget. Platinum Designs receives our absolute highest possible recommendation. Ian designed our kitchen two years ago. He's very knowledgeable on what he was doing. He combined our needs and his best and honest opinion into his design. He is outstanding and his work is absolutely beautiful. Our friends who visited our house loved our kitchen. I highly recommend Platinum Designs to you. Ian and his team are knowledgeable, reliable, resourceful and respectful. It was the best experience! After seeing his beautiful work in several friends' homes, we hired Ian Cairl of Platinum Designs to design our two master bedroom closets. Ian designed gorgeous, custom closets that are beautiful and highly functional. He brought a wonderful creativity to the design process as he suggested the best ways to utilize the space while staying within budget. This project definitely added value to our home. We got the closets of our dreams! We were so pleased with our closets, we are now using Ian and Platinum Designs to add custom cabinetry and built-ins to our bonus room. This Master Bath/Master Closet renovation was our second project with Ian, and we could not have been more pleased to work with him and his team again. This project was more challenging, in a way, because we had limited space to work with, within the original footprint of our second floor instead of the luxury of added construction. Ian took time to carefully consider the options for us, and presented us with several great layouts before we settled on the final plan. The result is a spectacular "Master Suite" that combines excellent function with streamlined form, in a style that we love. Ian's attention to detail and creativity are astounding; they make him superior in every way to the design experts we've experienced (and had friends' experience) in the past. He really cares deeply about each client and their project, and is only happy when his client is satisfied with the result. 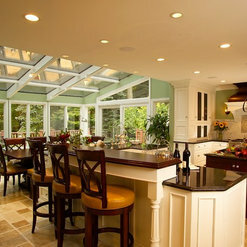 His team of installers are talented, professional, knowledgeable and respectful. 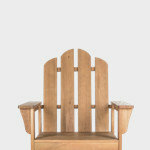 We cannot say enough about Ian and his workmanship. 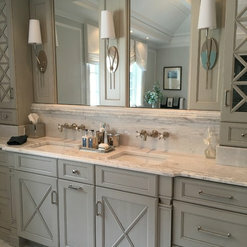 Thanks Platinum Designs, for the Master Bath of our dreams! I would highly recommend Ian and his Platinum Design team. This was not our first kitchen renovation but we never used a designer before and felt it was the way to go after meeting up with the Platinum Design team. My wife and I felt Platinum Design understood what we wanted from our kitchen and knew how to deliver it. We know nothing is ever perfect with any renovations, we dealt with any issues that came up accordingly to our satisfaction. Once our kitchen was completed, we would have never imagine it would greatly exceed our expectations. A side note about Ian, I have never met anyone in his line of business with such passion to deliver excellence. He makes it his business to understand your every need and to deliver what is expected, perfection. Working with Ian was a pleasure. He redesigned my kitchen, gutted it and was responsible for installing everything. The kitchen turned out beautiful and totally functional. Ian is extremely creative and adds very nice touches. He is also very easy to work with and really wants you to be happy. 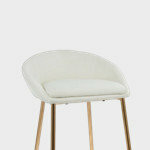 He is extremely conscientious about staying within budget, but will not sacrifice quality or style. His team set up a temporary kitchen for us, which was a major help during our complete kitchen renovation. 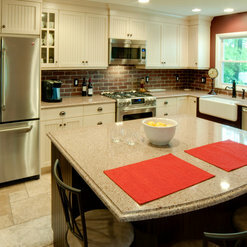 Ian assumed full responsibility for all aspects of the kitchen redesign and installation. I highly recommend him and his abilities. Ian has been an absolute pleasure to work with... his incredible talent (which speaks volumes in itself) complemented with his professionalism and kindness makes building your dream home a certain success. He knows how to guide you with his input (not dominating his position but opening your eyes to ideas based on your visions with his creative touch). I'm thankful for the opportunity to have worked with him on such important elements in my home (from the epicenter of my life in the kitchen to all our bathrooms) as I have the confidence and satisfaction that they will be beyond my expectations. Commented: Fashionista Closet inquiryHello, this canopy was designed and supplied through Theresa Scelfo Designs, in Morristown NJ . Commented: what colorHello, the finish is Colonial stain on Maple, with a brown glaze.... it is a medium brown tone finish.